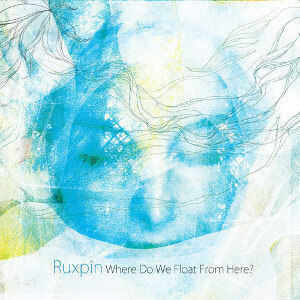 Due to an overwhelming demand, Ruxpin's "Where Do We Float From Here?" (originally released in 2009 on n5MD's digital imprint Enpeg Digital) is being rereleased on CD. Ruxpin is Icleandic electronic music composer Jonas Thor Gudmundsson and Where do We Float From Here? is his 6th long play. Gudmundsson has released on labels such as Uni:form Recordings, Elektrolux and Mikrolux, had many compilation appearances and has done many remixes for artists such as Mum and Worm is Green. Ruxpin's sound is firmly planted in the classic braindance subgenre of IDM. Although, there is an undeniably Icelandic twist to the music and enough emotion to fit within the n5MD emotional ethos. Where Do We Float From Here? is 16 tracks of finely tuned, well crafted electronica from a highly underrated artist. 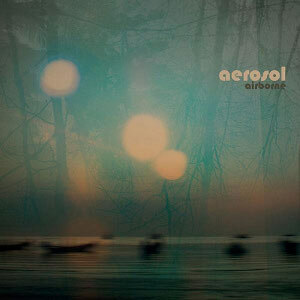 Airborne is the 2nd album from Rasmus Rasmussen's Aerosol project. Starting out as a member of the post-rock band Limp (Morr Music) with band mates Jonas Munk (manual), Jakob Sk?tt (syntaks) and Jess Kahr, Rasmussen helped incubate a certain sound that the of the four have nurtured in each of their solo endeavors. Rasmussen's take on the sun drenched post-shoegaze of the "post-limp collective" has a more defined sense of psychedelia and openness than his mates. This heightened sense of consciousness-expansion is all without ever being contrived, heavy handed or excessive. There is a self-awareness to Airborne that can be heard in spades on the aptly titled swirly slow-burn of "Psychedelic Coffee Buzz". A song written about a tour around Morocco, were we are very sure that sleep deprivation, sunrises and of course coffee play key roles in its expanses. Tracks like the bookend pieces of "Midnight Ride Down the Mental Freeway" and "Softly Slipping" are blissed-out electronic shoegaze featuring percolating sure-stepped percussion, chiming guitars, synth-lines seemingly made of aether and steadfast acoustic guitar lines. This is personal listening at its best. Every song is a landscape and every one of those hazy landscapes has a story. You'll just need to get Airborne for the anecdote. 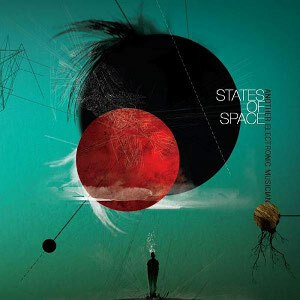 States of Space is the new album from Jase Rex's 'Another Electronic Musician' project and his 4th full-length for the n5MD imprint. The album gets its title from the physiological effects of his mental state during an emotionally difficult time. It also alludes to how his perception of his environment shaped his thoughts. Rex has sidestepped any stylistic expectations from his previous album, Five, by changing his working environment with the introduction of hardware into what previously was a strictly software based creative process. This more tactile way of working has given Rex room to let the songs breathe more than before and an almost 'less is more' ethos has crept into his music that also implies the album's title. Although this approach may seem more minimalist on paper, it has not at all affected the production, melodicism or density of the Another Electronic Musician sound. 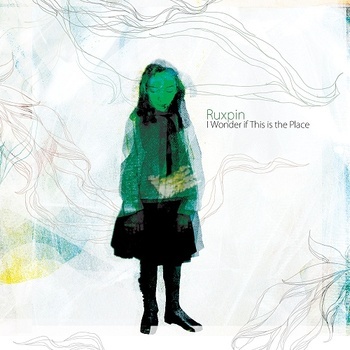 I Wonder if This is the Place [n5BC2] is the remixes companion to Ruxpin's recent album "Where Do We Float From Here?". 9 remixes from Leon Somov, Murya, Galaktlan, Aris, IJO, Worm is Green, and Biogen plus a remix and 4 new tracks from Ruxpin himself.